ST. JOHN'S, N.L. 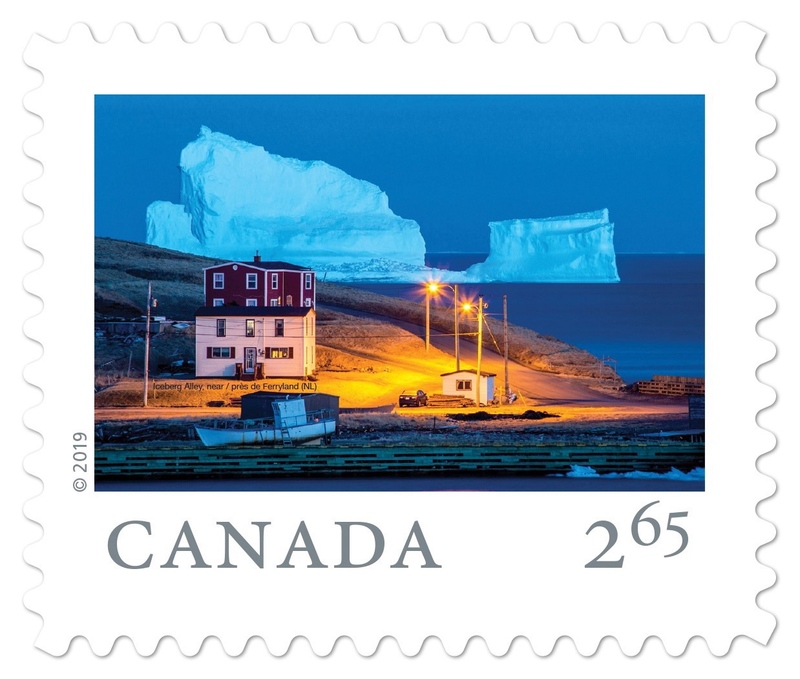 -- A towering iceberg that captured international attention in 2017 when it parked beside a tiny Newfoundland town will be seen around the world again -- on an international stamp. The remarkable iceberg drew a flood of onlookers to Ferryland, a town of about 500, in April 2017, and made headlines in global media including The New York Times, CNN, BBC, Time, The Guardian and Russia's state-backed news channel. 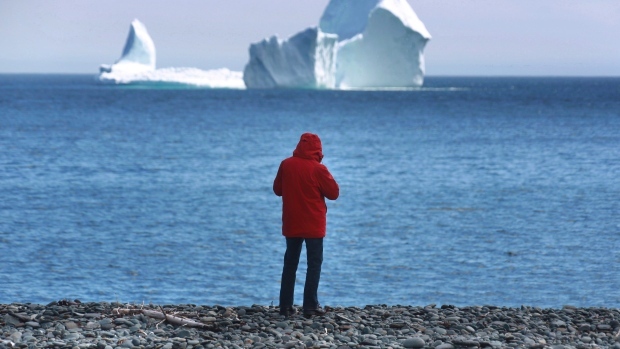 St. John's, N.L., photographer Michael Winsor rushed to Ferryland to capture a striking image of the giant iceberg dwarfing the shoreline. His timing was right, and he captured the iceberg framed behind two homes and a docked fishing boat, just as the evening's lights started to twinkle. "I wanted to go up there around blue hour, which is just after sunset, because then you get the blue in the sky and things, where the lights just come on. I find it's one of my favourite times of taking pictures," Winsor said in an interview. He knew he'd cinched a great shot when he glanced at his photos on the way home. Winsor's work is often featured by Newfoundland and Labrador Tourism, where he says Canada Post found his photo and contacted him to participate in the "From Far and Wide" stamp series. "It's pretty cool," he said. "Not very many photographers -- very, very few -- can say they had their image on a postage stamp." Winsor also runs a photo tourism business, bringing visitors to Newfoundland's iconic sights at the right time to capture the best possible pictures. But the artist said it's a special feeling to be recognized on a stamp that will travel the world -- and he's considering mailing his own prints to customers marked with the stamp he shot. "I sell calendars and stuff like that internationally," he said. "I might buy a roll of these and put those stamps on there."